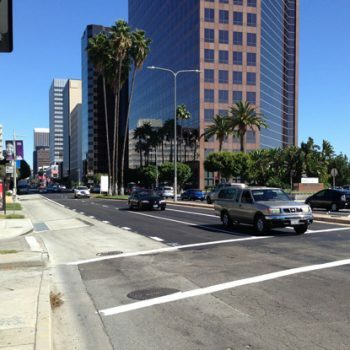 Wilshire Boulevard serves as one of western Los Angeles’ primary thoroughfares with more than 80,000 weekday bus boardings and as many as 128,000 automobiles crossing over some of its busiest intersections daily. 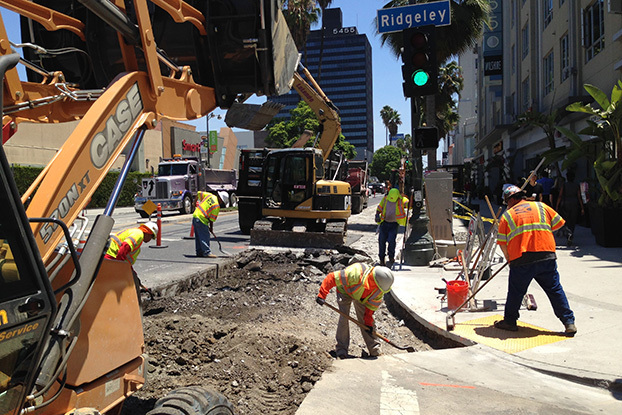 Heavy buses and other vehicular traffic have taken its toll on Wilshire Boulevard, creating deteriorated conditions at the concrete gutters and asphalt curb lanes. 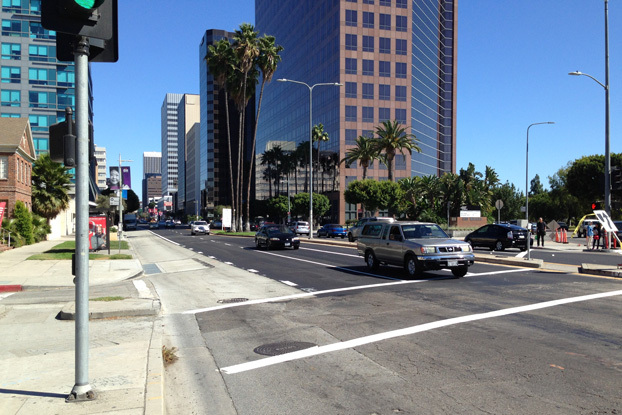 The Wilshire Bus Rapid Transit (BRT) project reconstructed the curb lanes between Western Avenue to San Vicente Boulevard and converted them to weekday peak period bus and right-turn only lanes. 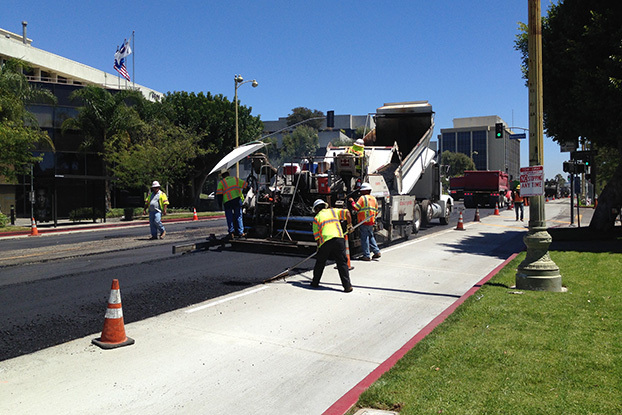 In addition roadway improvements in the travel way, intersections and turn pockets were undertaken. 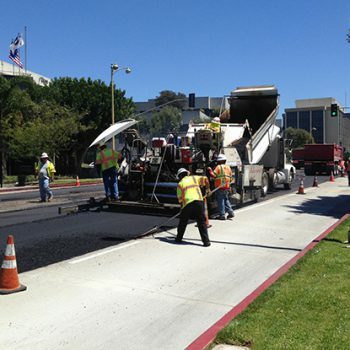 Griffith Company was awarded the $14 million contract and broke ground in January 2014. 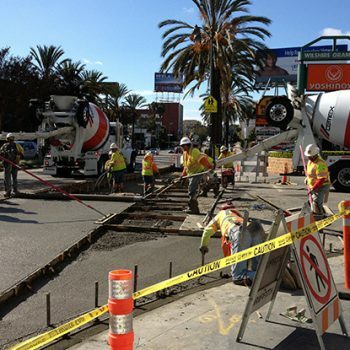 Work began by removing the existing concrete curb lanes and gutters and replacing them with a new monolithic concrete curb and concrete peak-hour bus only travel lane on both sides of Wilshire Boulevard. 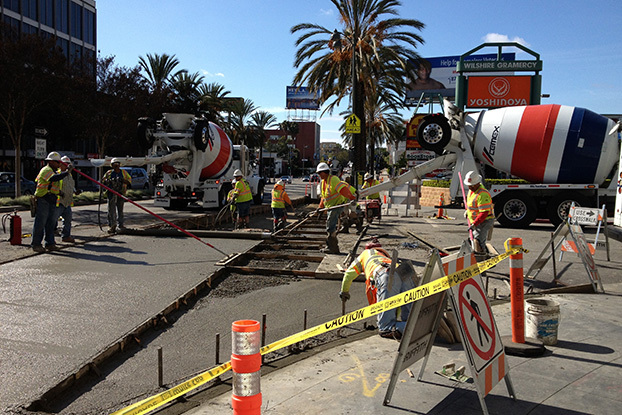 The construction of this new curb lane served to improve transit service, and has encouraged a shift from automobile use to public transit. 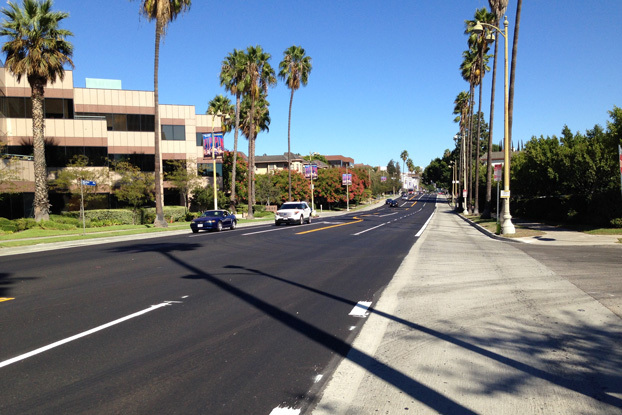 Additionally, bus stops and shelters were more conveniently relocated and traffic signal improvements were made. 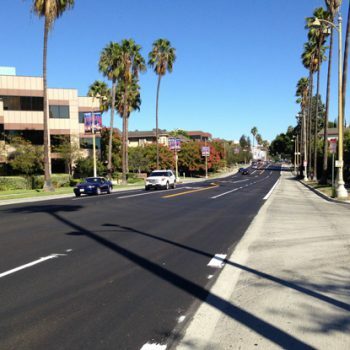 Roadway improvements included cold milling and repaving over 20,000 tons of Asphalt Concrete to enhance the drivability along the corridor. The project team was able to complete the project five months early by restaging the project sequencing. 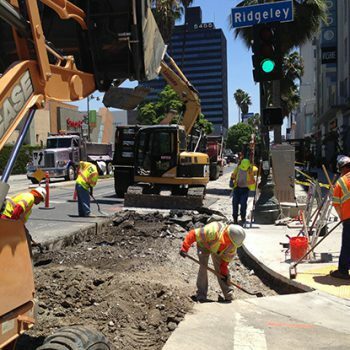 Working hand-in-hand with all the project stakeholders we were able to stay productive while minimizing impact to the public and local businesses.